Rita was instrumental in narrowing the cemeteries down to a few key areas. Her and her husband were priceless. They met us in Amherst. The first cemetery we traveled to was in Amherst. 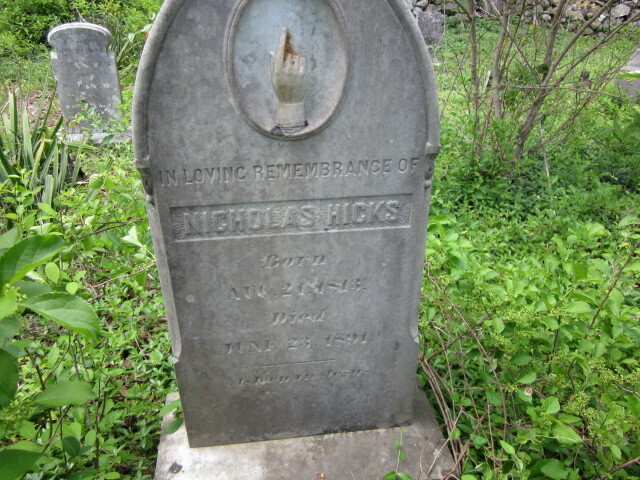 It was Hicks Cemetery off of Hicks Farm Road. Rita was able to gain access as this cemetery is on private property. The property was gorgeous. It was not hard to imagine my distant family working this land. William Hixs was the first one that I found in the Amherst area. He appears in Amherst County, Virginia in an Early Virginia Census in 1783. He was my 5th great-grandfather. He fought in the Revolutionary War. I will have to do more research on him. Blansford Hixs, my 4th great-grandfather and his wife, Mary Polly Peters had 12 children. These are some of the tombstones we were able to see in this cemetery.